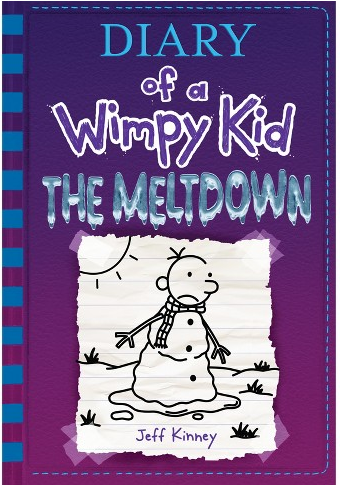 Target has the Jeff Kinney Diary of a Wimpy Kid The Meltdown hardcover book on sale for $6.97 (regularly $13.95). 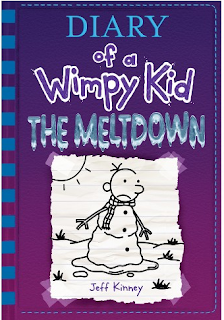 The latest book in The Diary of a Wimpy Kid series, in The Meltdown snow shuts down Greg Heffley’s middle school, and his neighborhood transforms into a wintry battlefield. Rival groups fight over territory, build massive snow forts, and stage epic snowball fights. And in the crosshairs are Greg and his trusty best friend, Rowley Jefferson. My son enjoyed every page. Great addition to the wimpy kid series. My son was very excited to get this book. He reads it every chance he gets.